« DPReview: Sony a7III vs. Canon EOS R vs. Nikon Z6, Which is Best? 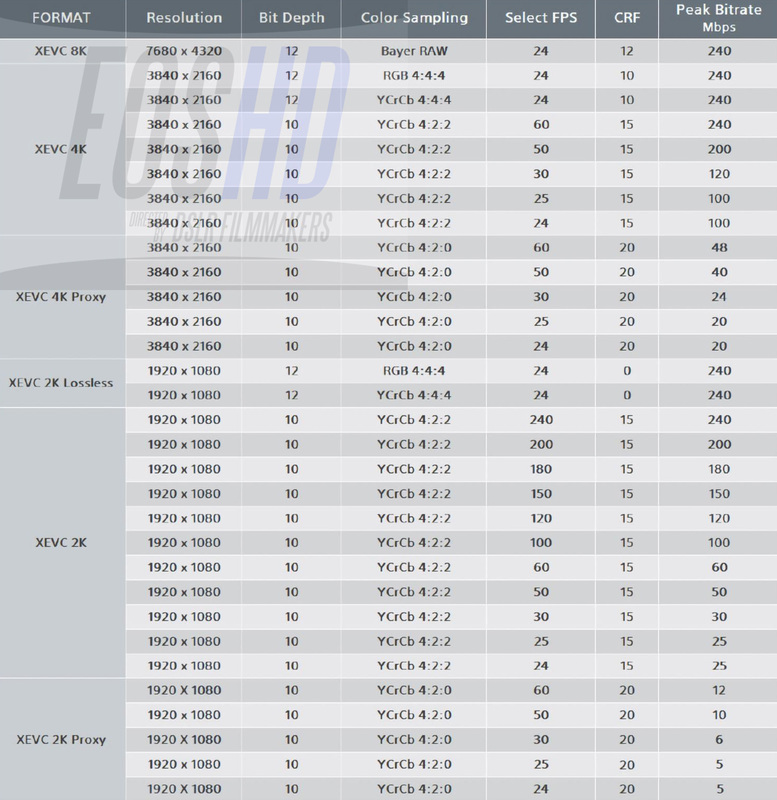 EOSHD leaked the first look at Sony’s new XEVC codec and it looks very promising and it includes 12-bit 4k and 12-bit 8k 4:4:4 capabilities. Even 1080p is getting a boost up to 240fps 10-bit. This H.265 based codec should double image quality. This codec should appear first on a future Sony FS7 or even the Sony a7SIII which looks to be going 8k more every day. This entry was posted in Patents, Sony a7SIII and tagged Sony a7SIII, Sony FS7, Sony FS7 II, XEVC. Bookmark the permalink. Trackbacks are closed, but you can post a comment.